I’ve used the Little Martin for around five years now. I’ve carried this thing all around the world and put it to the test through rain, heat and just about anything else you can imagine. In this video review I fully demonstrate my thoughts on the Martin LXM Travel Guitar. The sound quality is where the Martin Traveler Guitar (Little Martin) really shines. It projects well for street performing and has a great full tone. The lows, obviously, are lacking—but that should be expected in any smaller guitar. Overall I gave it 9/10 because it’s not quite as good as a normal-sized guitar. Although, I don’t think it’s possible to do so in a smaller guitar anyways. Durability has been exceptional for this thing. I’ve put it through things that should have annihilated it. It has yet to show any signs of warping despite being through a record heat wave for a month in Italy (and spending the whole of that time outdoors). It’s been through rain with no adverse effects as well and has been packed with sand on multiple occasions. The weight is perfect if you want a match between size and sound quality. It weighs the same as the Martin Backpacker Guitar in my opinion (I own both) but sounds infinitely better. I’d say the only real comparison to the Martin LXM “Little Martin” Traveler Guitar would be the Taylor “Baby Taylor” Guitar. I have not had a chance to use it yet, so a review is yet to come. For now, what can I say? If you’re looking for a lightweight, durable and great sounding guitar for traveling, look no further. The Martin LXM Traveler Guitar is your answer. If you have any questions about the Little Martin, or want to share something I’ve missed with other readers, please leave it in the comments below or reach out to me on Twitter or Facebook! If you’d like a LOT more tips for traveling musicians, making money while you travel, getting places to stay for free, and stuff like that, please consider grabbing a copy of my book Two Bucks to Timbuktu on Amazon. Or, if you’d like to read the hilarious journey of my friends and I attempting to vagabond our way around the world, check out my book Planes, Trains, & Broken Strings! If you decide to purchase a Martin LXM Guitar, hook a brother up and use one of the affiliate links below! Hey man- I dig the review. Does this thing fit overhead on an airplane? Yep! I take it with me everywhere I travel. Never had any problems, even on smaller airplanes. Thanks for the review. Have you encountered anyone carrying a Taylor GS mini out there? No problem! Man, I’m a huge Taylor fan. I’ve always wanted to try the GS Mini, but haven’t got the chance yet. 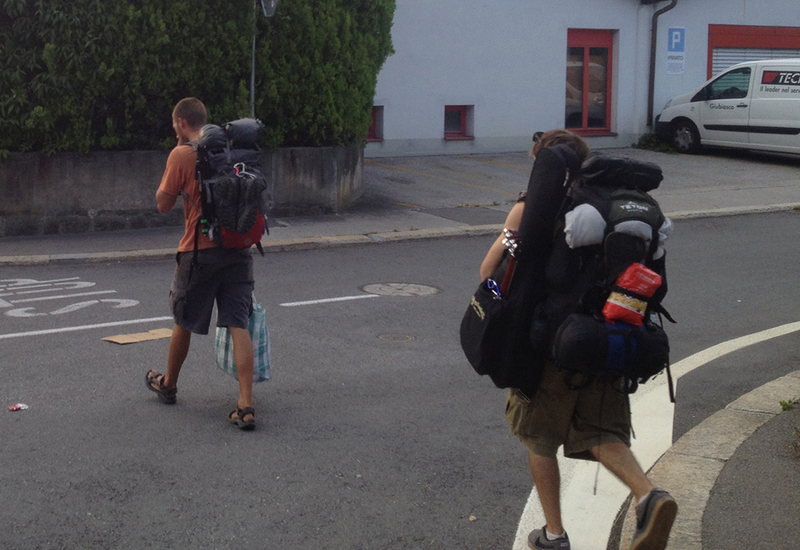 Honestly, I’ve never ran into anyone else carrying a travel guitar of any kind while backpacking. haha surprisingly. I’ve played a few of them. They sound amazing for little guitars (for any guitar really)! Wondering about the size issue. If it would be a pain to lug around. May have to try it out!